Under each certificate, you'll notice an "Add to profile" button for LinkedIn. 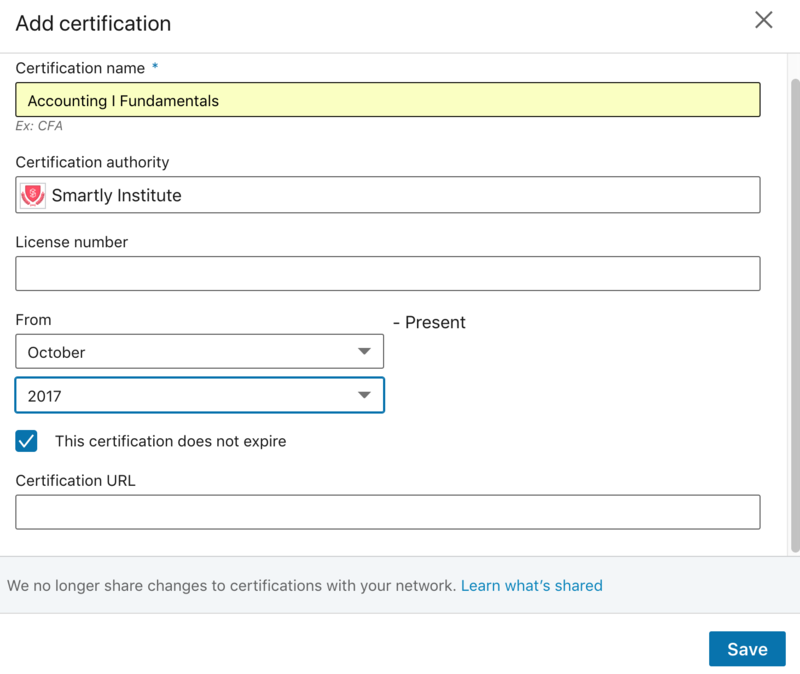 Alternatively, you can always add new certificates directly from your LinkedIn profile. 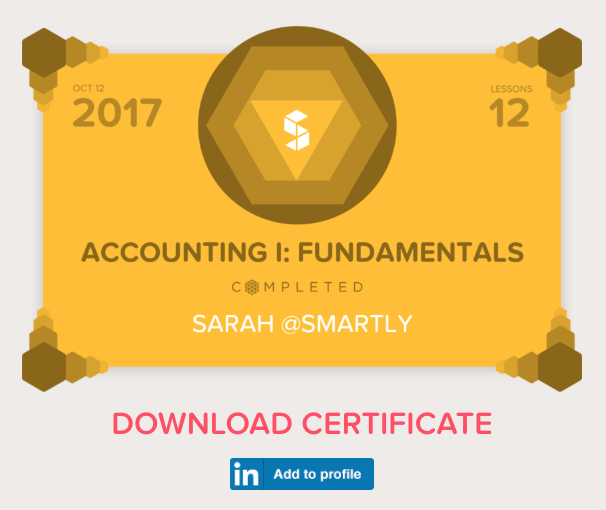 You shouldn't need a URL or license number to add the certificate information to LinkedIn, and you can use "Smartly Institute" as the authority!